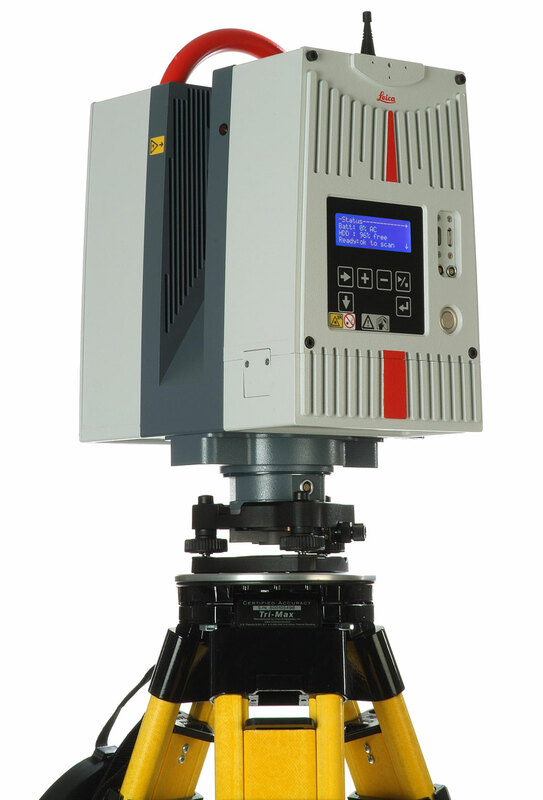 The “next-generation” Leica HDS6200 significantly reduces field costs and increases phase-based data quality for many types of as-built and site surveys where users want to take advantage of ultra-high speed, phase-based laser scanning. With scanner, data storage, scanner control, and batteries integrated into a single unit, the Leica HDS6200 is easy to setup and carry for fast project execution. In addition, the excellent range at which users can achieve high-accuracy scan data combined with the HDS6200’s dual-axis (tilt) sensing capability reduce the number of instrument and target setups, further cutting field time. These same features plus its extended temperature capability also increase the versatility of phase-based scanning. Users can choose from three scanner control options. Aside touch panel allows simple control. An optional wireless PDA allows “touch-free” control, plus visual inspection of jpeg scan images. For full 3D viewing, scan measurement,and rigorous quality assurance (QA), users can opt for powerful laptop control with Leica Cyclone SCAN, the industry’s most popular and versatile scanner control software. For accurately registering (or stitching) multiple scans together, Leica Cyclone REGISTER software lets Leica HDS6200 users take advantage of either scan targets or “cloud-to-cloud” registration methods that don’t require targets. Note: Clone software also available for hire. Click here to down the brochure. Download HDS targets. Please note that the black and white target sheet should NOT be printed using an inkjet printer.